A delicate and delicious first course: the sweetness of the zucchini flowers are well balanced with a decisive bacon taste and aromatic notes of saffron. A dish not to be missed! 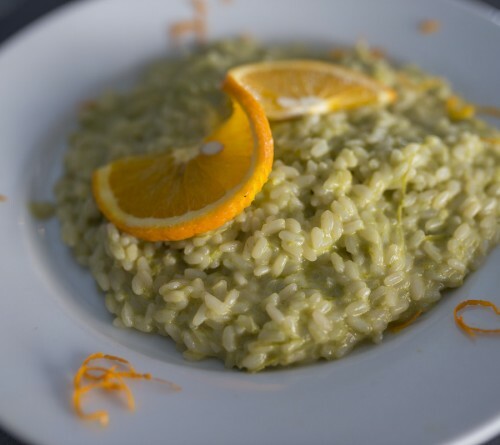 The orange-flavored risotto is a tasty and fragrant main dish: the asparagus tips, sweet and tender, are heightened by the acidity of the orange, thus liberating unique flavors. 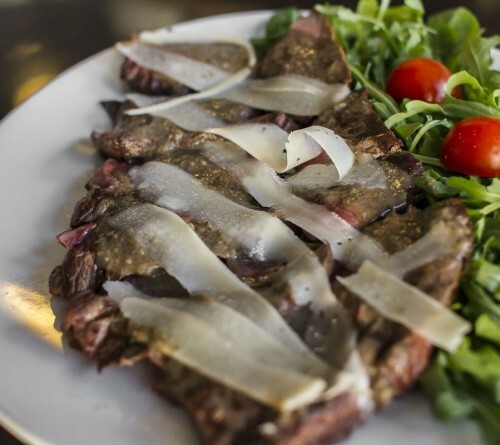 Danish meat, which is a synonym of quality, and our grill: it is garnished simply with fresh arugula and cherry tomatoes so as to enhance the quality of the meat. 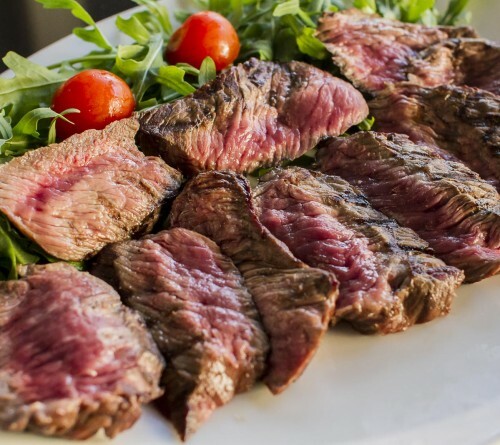 It’s the ideal second course for those who want to try the taste of quality Danish meat. It’s served with truffles sauce and champignon mushrooms and topped with thin shavings of PDO Grana Padano (Parmesan cheese). 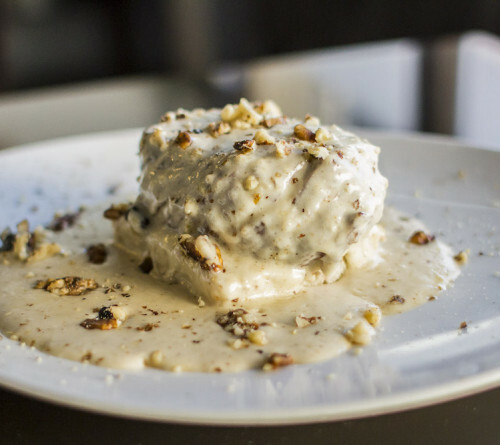 The tenderloin filet, the most prized cut of beef, is laid on toasted bread and covered with homemade walnut sauce and chopped walnuts. 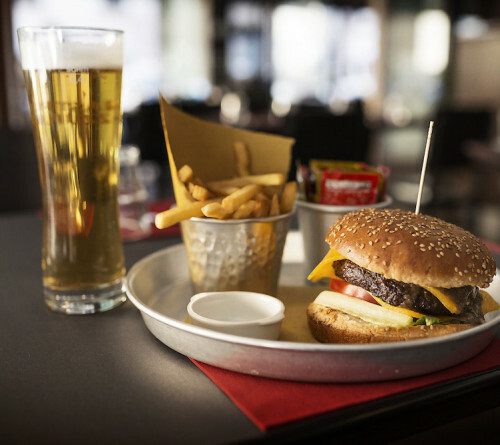 The Raf Burger isn’t your usual burger, it’s a real tribute to quality street-food. It’s strong point? The soft, easily digestible bread and the quality meat without additives or preservatives. 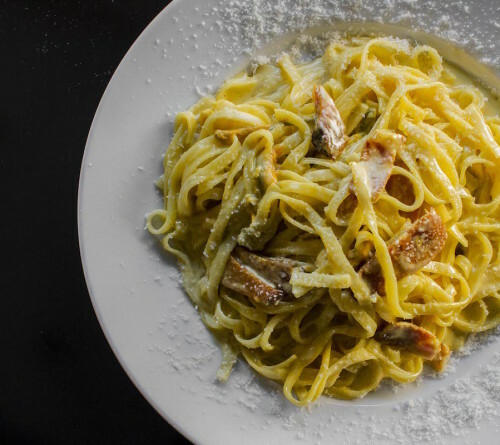 Imagine a delicious plate of ‘bucatini all’amatriciana’ pasta that looks like a pizza: this is the Amatriciana Raf. 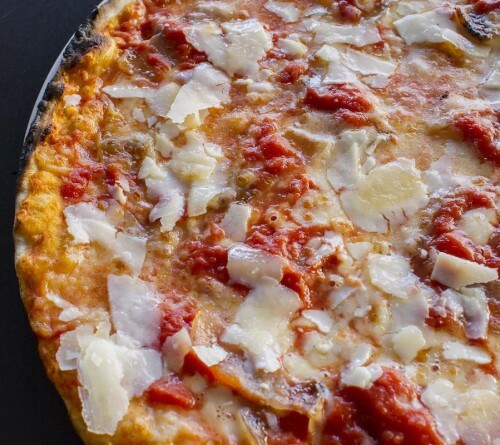 Only quality ingredients, cooked in our wood oven. Children love this sweet and its strong point is its simplicity. 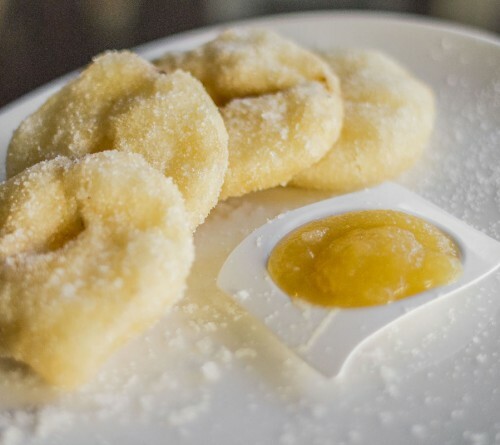 Raf offers this traditional sweet, all year round. The Fagottino is pizza dough that is expertly crafted by our pizza chef and is made in the characteristic “fagotto” shape. 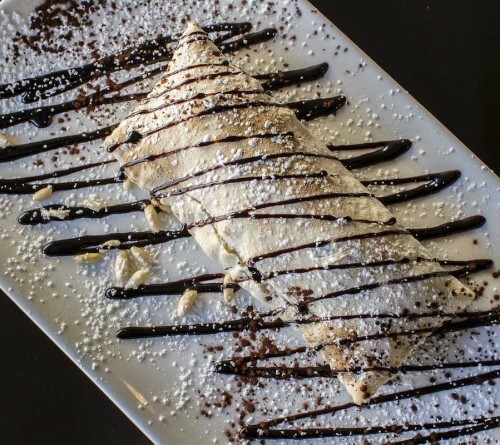 It’s stuffed with fresh ricotta cheese, Nutella and pine nuts to garnish the dish.